Just because you haven't needed it yet, it doesn't mean you never will! HOW LONG CAN YOU SURVIVE WITHOUT YOUR COMPUTER SYSTEM? 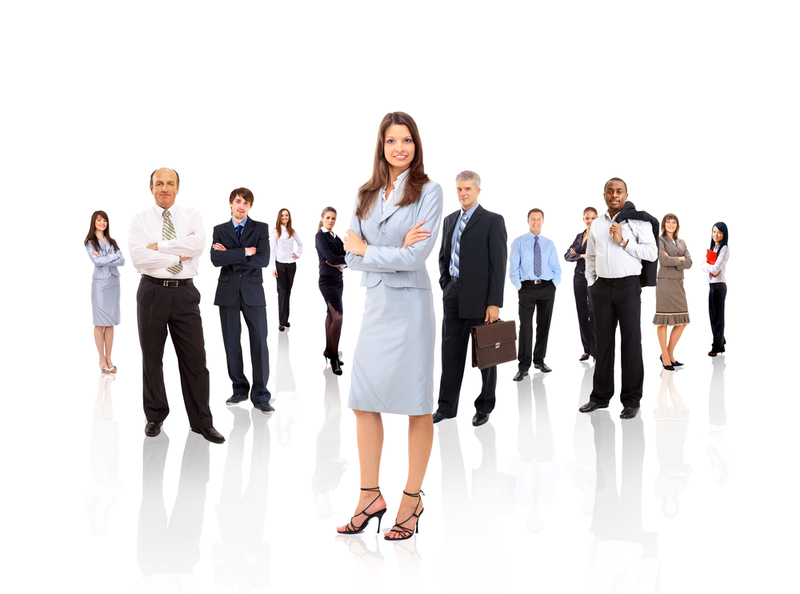 In our modern world a great majority of both our personal and our working lives are heavily dependent on technology. Whether this is a good or bad thing can be left to the philosophers but regardless of whether you like it or not it is a fact that we are a generation surrounded by electronic data. Imagine for one moment going to work for the whole of next week without any computers working – daunting isn’t it! No access to email, all of your files and data are inaccessible and quite possibly your contact details are unavailable meaning you can’t even call anyone to tell them you are delayed by an IT issue! Of course, each scenario is different but the above example is a real possibility and in such a case the answer to the question at the beginning… not very long at all. ISN’T REMOTE BACKUP A DR SOLUTION? Yes. 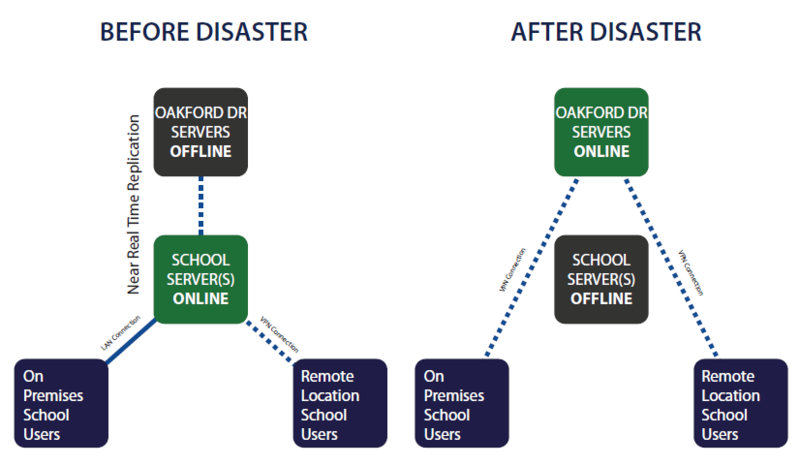 Remote backup will provide your school with a basic disaster recovery solution by securely backing up all of your files, emails and databases each night. This provides peace of mind that you can recover your data from any disaster or failure, however the restore of the data and/or reconfiguration of new equipment for the data to reside on may take longer than you would like depending on the type of data and available resources. ProActive Disaster Recovery takes your backup solution to a new level to minimise the downtime between failure and recovery. Just looking for remote backup? Did you know that Oakford also provide a leading backup service? Remote Backup takes a copy of your data, encrypts it and then transfers it to a UK data centre via a secure “SSL” connection. A second copy is then sent to a secondary UK data centre that is in a different geographical location and email confirmation sent back to you once completed. In the event of fire, theft, human error or hardware malfunction you can be safe in the knowledge that all of your important data has been safely backed up and can be restored easily. A fully automated and secure backup each night. No need for staff to change tapes, disks etc. No need for staff to take external backup media home such as a tape. Backups are kept in two certified, secure locations providing a basic disaster recovery facility. In the IT world the word disaster doesn’t just mean a natural disaster such as fire, flood or other types of extreme weather all of which are unlikely to happen for a large number of organisations, it also refers to many other scenarios where your computer system is unavailable for a period of time. POWER LOSS : A power outage is a common IT fault although UPS systems can keep servers online for a short period. HUMAN ERROR : We are all capable of making a mistake, unfortunately an IT system mistake becomes obvious to everyone quickly. COMPUTER VIRUS : Unfortunately there are individuals whose goal is to create a problem and new threats are created every day. SOFTWARE FAULT : We rely heavily on software providers and they need to release regular updates. However, due to software developers being unable to test every scenario these updates can sometimes cause unpredictable and undesired results. Our Proactive DR solution will take daily, encrypted snapshots of your servers and store them in our UK data centres. In the event of a disaster, you can not only restore your data but all of the servers including their configuration by restoring a small number of large files. In most cases this will reduce the total downtime following a disaster by 50%. Combined with remote backup, for the restore of individual files instead of an entire system, this will provide your school with a simple, cost effective disaster recovery solution. Real-Time DR does not require you to restore anything, simply invoke DR over the phone and your computer system will become live in our secure Private Education Network and will be as up to date as possible (a few minutes behind the original system), enabling you to continue working at school if you still have an Internet connection, or from another location if required. DO I NEED REAL-TIME DR? That is a question only you can answer. Could you be without your computer system for more than a couple of days at anytime throughout the year? If the answer is yes then you may be better suited to a ProActive DR solution, if the answer is no then Real-Time DR is a solution you should consider. It is important to test many services at school eg. burglar alarm, fire alarm, fire drill. Your disaster recovery is one of those services that should be tested. Included as part of the service is one DR invoke test per year. This will allow you to become familiar with the process and to rest easy knowing that your solution is working. An initial seed of your chosen servers will be taken and securely uploaded to our UK data centres. 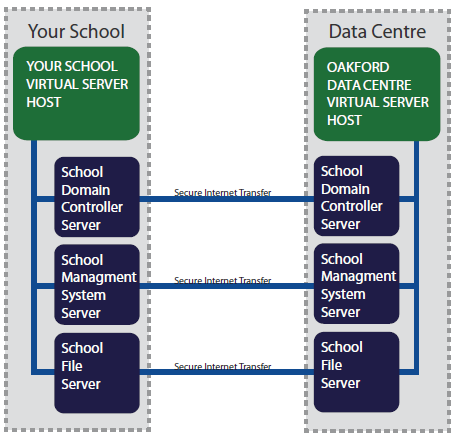 Once complete a replication suite will be setup at your school enabling your servers to drip-feed block level changes to the Oakford data centre copy of your servers. The servers in the data centre remain in an offline state, meaning they will not interfere with your current system. In the event of a disaster, simply contact us to invoke DR and the data centre servers will come online. We will provide you with all the information required to allow you and your users to continue working with minimal effort.